Laguna Seca this weekend, who is going? 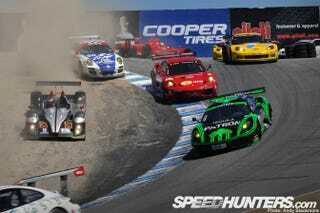 The TUSCC is at Laguna Seca this weekend, I’m heading up Thursday night. Anyone else going? It’s been awhile since I’ve been able to sit back & enjoy a weekend at the track as a spectator, so I’m looking forward to it. Link to the schedule HERE.